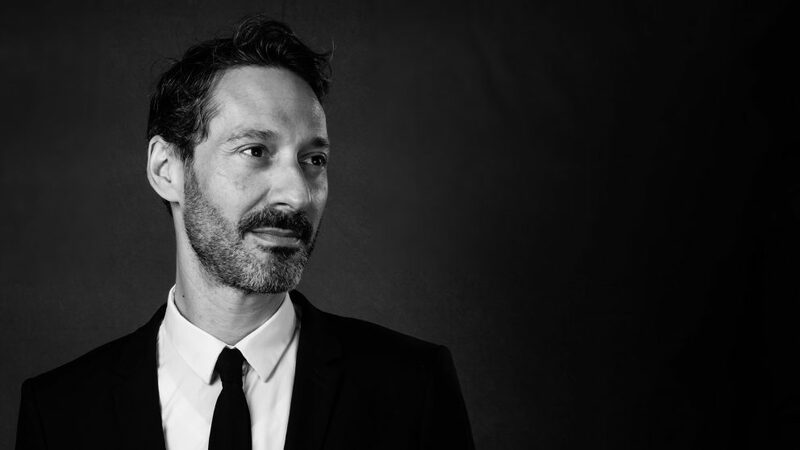 Sébastien Badault is Alibaba Group’s director of international fashion and luxury and managing director for France. In this interview with Alizila, he explains how China’s consumers are unique among the world’s high-end shoppers and offers an in-depth look at Tmall’s Luxury Pavilion, an exclusive online portal for fashion labels looking to tap into the lucrative market. When did you join Alibaba and what is your role? I joined Alibaba in November 2015 to launch our operations in France, with the goal of supporting the development of French companies—to access and thrive in the Chinese market. I work with my team to connect consumers and merchants, particularly SMEs and large French brands and businesses to seize the opportunities in trading and doing business in China. From the beginning, the luxury sector seemed particularly promising. After a few discussions with different luxury brands in Europe, I realized they really wanted an exclusive digital environment to be able to reach their customers in the Chinese market, so we started working with our teams in China on designing and developing what became the Luxury Pavilion, which launched in August last year. How big is the luxury market in China? Who is the Chinese luxury consumer? The Chinese consumer is already the world’s biggest luxury consumer, representing 32% of overall luxury sales. But what matters even more is that its share will rise to 44% in the next seven years and probably cross the 50% threshold in ten. Imagine? One market that represents 50% of an industry’s sales! But numbers are just an element of the Chinese puzzle. Chinese consumers are different from those in Western markets, and they are changing: After decades of luxury consumption in China driven by “socially enabling” products (like watches targeted to mature men), we are now observing the rise of a new young, high-spending segment, largely composed of women and more oriented towards handbags, fashion and accessories. The average age of the luxury consumer in China is about 15 years younger than their counterpart in the U.S. and ten years younger than the average European luxury consumer. They are also more demanding and are not yet loyal to a particular brand or maison. They are very educated on product and pricing information, and they adjusted seamlessly from having a very small assortment and limited variety to having the choice of everything at once. As a result, Chinese consumers are the most sophisticated consumer group in the world, demanding quality, personalization, innovation and new technology from retailers. They search unique and high-quality products that convey a brand’s heritage. They embrace of customization and seek unique experiences when they shop. Old patterns, such as the lack of sophistication and the preference for garish designs, have shifted to a genuine appreciation for brands’ heritages. Badault speaking at a panel on “smart luxury” at FT’s Business of Luxury Summit in Venice, Italy. Do Chinese consumers really buy luxury items online? Isn’t the in-store experience really important for luxury? The in-store experience is key in the luxury world. What I find really interesting in this industry is that while brand, design and image are key, luxury brands are for the most part also retail operators and they’ve transformed it into an art form. I don’t think, however, that online and offline should be seen as working against each other. What we want is to help brands build what we call New Retail, where the sales channel doesn’t really matter anymore and you can focus on how to best engage with your consumer, who is young and was born in the “Age of Mobile.” For them, the distinction of offline and online is blurred. The reality is that after a massive expansion, luxury brands are reducing the number of stores in China. And there is a growing part of the customer base that doesn’t live in Tier 1 or Tier 2 cities and therefore only have access to luxury stores when they are traveling. So online engagement becomes key to reaching these consumers. Why did Tmall decide to create the Luxury Pavilion? Why not just have luxury brands set up shop on Tmall? Just like you will not find luxury stores in just any mall, in our preliminary discussions with luxury brands, they made it clear to us that they were really keen on having an exclusive space that is invitation-only and where only brands can sell directly to consumers and have full control over the experience. Brands also care about proximity to mass markets brands—they want to be among their peers, not next to FMCG goods, in a premium destination, just as they would in a mall. In the Luxury Pavilion, we let brands create their online maisons where they control their image, the way they engage with consumers, pricing and distribution. Setting up an exclusive platform also allows us to develop and launch Luxury Pavilion-specific products, such as the Pavilion Club and Pavilion Finance. A screenshot of the Luxury Pavilion interface. What makes the Luxury Pavilion experience more of a premium experience for consumers? It starts with design. The fact that we are more selective in terms of the number of brands that are present means that we are able to showcase them in a more qualitative, sophisticated and relevant manner. 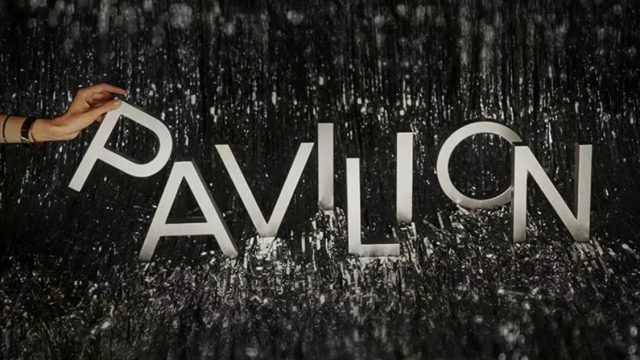 The look and feel of the Pavilion is quite distinctive. We are also integrating specific content around different collections and allowing brands to communicate through that content, in order for them to tell their own story. Knowing that Chinese consumers are very fond of event-based sales, we have created a pop up store format that we have launched with Loewe (LVMH) and later with other brands Stella McCartney and Valentino, which lets brands sell a capsule collection to their consumers. We have also created the Pavilion Club, which allows consumers to “like” brands and receive special updates and badges, and Pavilion Finance, which lets them purchase products and pay for them over time. It’s only the beginning, though. We are working closely with brands and analyzing consumer behavior to make sure we build the services they most desire. Which Tmall consumers have access to the Luxury Pavilion? We have over 550 million active consumers on our platforms, but not all of them are potential luxury buyers. So in order to create the best possible environment, we’ve made the Luxury Pavilion fully accessible to a subset of the overall consumer base; essentially consumers who have expressed interest through their search and purchasing behavior in international brands that sell high-end products. Is there a consumer loyalty program for the Luxury Pavilion? The Pavilion Club is a first step towards a loyalty program, but the idea is also for brands, if they chose, to leverage their existing CRM programs or systems in order to create a strong link between their online maisons and their retail presence. The Pavilion Club, launched last month, is Alibaba’s new loyalty program aimed at its top luxury shoppers. What tools exist for luxury brands to engage with consumers on the Luxury Pavilion? There are many! The Pavilion’s goal is to provide the technology and data to to reach and interact with consumers, but the brands are the ones who decide how they want to achieve that. Some, such as Marni, can offer an immersive experience that makes it feel like you’re inside an actual store. Others, such as Baccarat, will focus on the age-old history of the brand. And there is also the possibility to live stream fashion shows or other events. The possibilities are almost limitless, and we look forward to working with brands to come up with new and innovative ways to create the best possible engagement. How is the platform doing? We have fantastic brands on the platform covering everything from fashion and accessories, cosmetics, perfume and makeup to jewelry, wine and spirits and even cars with Maserati. It’s performing spectacularly well and clearly shows that there is an incredible demand from the Chinese consumer. Brands on the Luxury Pavilion have access to our consumer base which includes more than 100,000 consumers who spend on average $159,000 USD a year on our marketplaces! That is just amazing. WATCH: Maserati taps Alibaba’s smart-store tech. How many luxury consumers shop on Tmall and how do you define them? There are millions of luxury consumers who shop on Tmall, and we define them based on the type of products they buy, search for and engage with. What are the key differentiators of the Luxury Pavilion from its competitors? Our philosophy is that we serve two consumers. The end customer and the brand. Making sure that both see the value and benefits when using the platform is key in our development. The fact that this is a pure marketplace model means that we do not pressure brands on the type of products they showcase, their price point or the way they market them. We fully share the data and insights we gather so they better understand consumer behavior and adapt to best serve their end customer. Our goal is to leverage our strengths, which are innovation, technology and data, to let brands create and own the best experience for consumers in their online maisons and inside their stores. Give us an example of a brand that leveraged the Luxury Pavilion effectively? Can you share any sales/engagement figures? The launch of YSL Beauté a couple of weeks ago was a great example of immediate success for a brand with a long history and heritage. 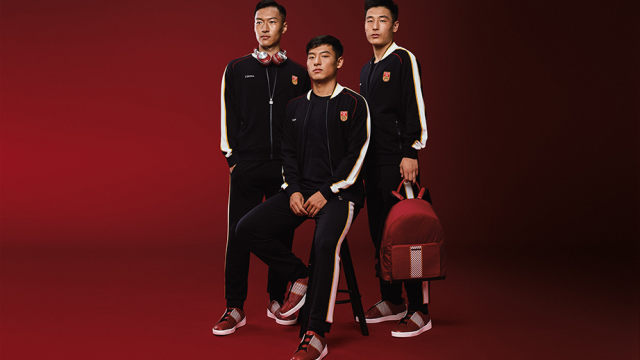 They leveraged Alibaba as more than a sales channel, though, and really went beyond to use our platforms to tell its unique brand story in innovative ways. Their campaign around the Vinyl Cream Lip Stain, for example, was a great example of engaging consumers with new customized, interactive features to display lipstick shades, making the experience stress-free. 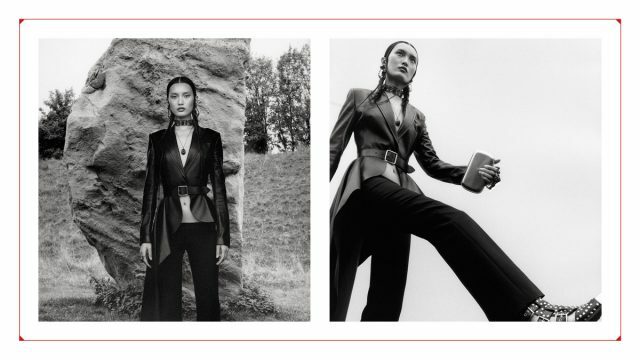 The brand generated over $4.5 million in sales in 14 hours on its first day, breaking the single-day record for cosmetics previously held by Givenchy. Are any luxury brands linking their offline stores with their Luxury Pavilion storefronts? We are in talks with different brands to make that happen. Our iStore technology lets brands digitize their retail space almost instantly and gives store managers unique insight into consumer behavior. This can have massive impact on merchandising, store layout and linking online and offline CRM. Quite frankly this could become the holy grail of retail, which luxury brands are uniquely positioned to take advantage of it because they operate their own store. We are quite excited about these opportunities and feel that it can really have a major impact on how Chinese consumers shop in the future. One example of what we’ve done in this space can be Maison Valentino recently launching a 3D shop for its new Candystud collection on the Pavilion, using our online marketing tools. The shop is a 360-degree virtual experience resembling Valentino’s offline pop-up store in Beijing. How do you ensure a luxury experience through delivery? Any special white-glove delivery services? We offer a range of different delivery services to brands, and they are the ones who decide how they want their products delivered. This approach allows them to fully control how they serve their customers in the way that they want. There is obviously a big difference depending on the value and size of the product. You don’t deliver a bottle of perfume, a dress or a car in the same manner. We do realize that delivery is part of the experience and that, for luxury products, it has to be special. This is part of our overall goal of providing a relevant, personalized and the best possible experience to our shoppers. How does Tmall assure the quality of products on the Luxury Pavilion? Since only brands can sell on the Luxury Pavilion, we know that there are no issues with the quality, origin or the design of the products. The only thing we do is select brands carefully to make sure they have a true luxury mindset. Can you give us any hints about what kinds of brands are coming on the platform in the coming months? We will be bringing on new brands every month! We will also build new services and functionalities. The platform is still in its infancy but on track to become the go-to destination for luxury shopping in China. And we are learning a bit more every day about what consumers want. I was saying earlier that the Chinese consumer should, in the next 10 years, represent 50% of global luxury sales. 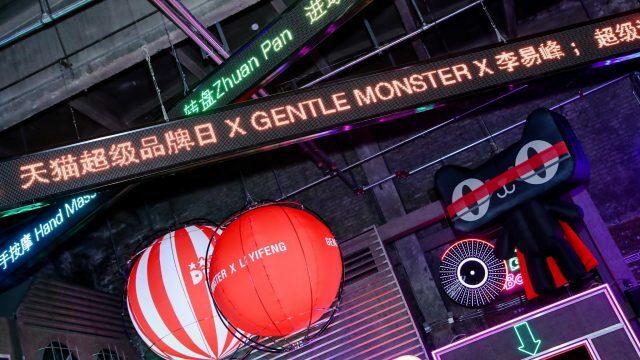 We are confident that by then, we will have built the best New Retail experience that all luxury brands will be leveraging to engage in China and beyond.